Don't Let Plaque Be A Pain in the Back! Do A Posture Check and Prevent Pain in the Neck! Getting an Upper "Hand" on Pain! Dentists, Hygienists, and Assistants Require Specific Exercise? 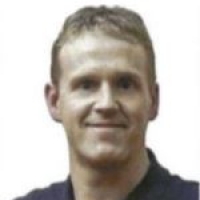 Corey Pritchett PT, PT, MEd has a Bachelor of Secondary Education, a Bachelor of Physical Education and Master of Physical Education from Memorial University prior to completing a Bachelor of Science in Physiotherapy as Dalhousie University in 2002. He has taken many post graduate physiotherapy courses in the areas of manual therapy, movement impairment syndromes, mobilization and neuro-orthopaedics, and has competed courses in McKenzie, sport specific injury rehab & prevention and acupuncture. His interest in sports as both player and coach has carried over to his work, and he has keen interest in rehabilitation sports-related injuries, as well as, alignment and postural dysfunctions.